First impressions can determine if a home sells for top-dollar or below-market value. Taking the time to review and make cost-effective updates and improvements before listing it for sale is an essential component to the Nevada Builder Trade In Program because it can make a tangible difference to the bottom line. First impressions can determine if a home sells for top-dollar or below-market value. Taking the time to review and make cost-effective updates and improvements before listing it for sale is an essential component to the Nevada Builder Trade In Program, because it can make a tangible difference to the bottom line. “The Nevada Builder Trade In Program is known for helping hundreds of homeowners purchase a brand-new home from a builder on contingency while selling their current home. 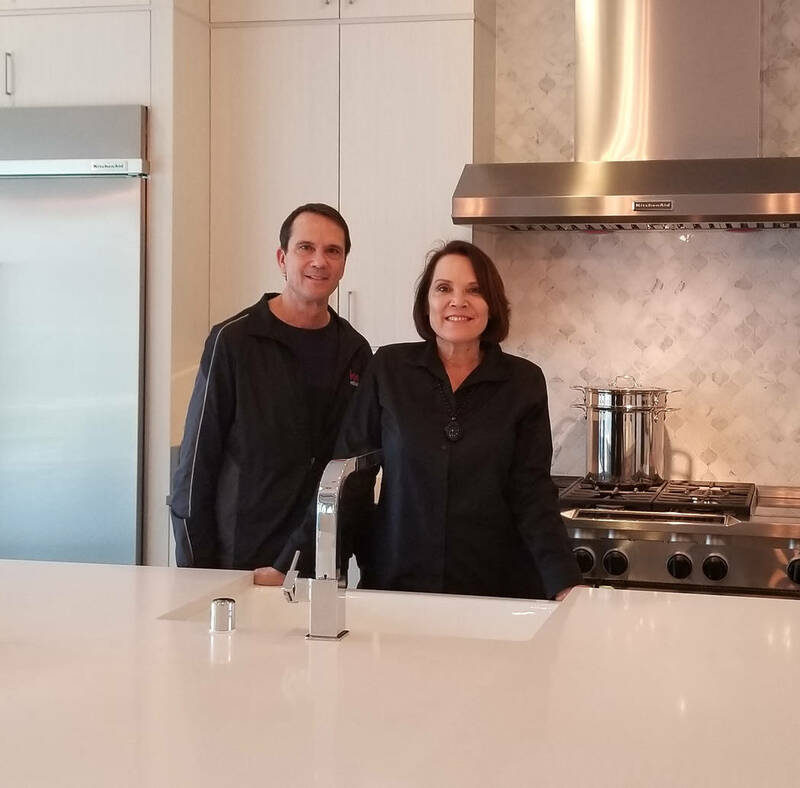 Our process is in-depth because we want to help our clients sell their home for as much as they can,” said Robin Smith, who operates the program in Southern Nevada with her brother, Robert Smith, of Smith Team at Keller Williams Las Vegas. “We do this is by assessing each potential client’s current home and offering a projected sales price based on (his or her) home’s condition and recent sales of nearby, comparable homes. At this time, we provide ideas of cost-effective improvements that may help increase the sales price and improve the home’s first impression among home shoppers,” she said. The key is making cost-effective improvements in which the potential increased price outweighs the seller’s out-of-pocket costs. The Nevada Builder Trade In Program’s end goal: Selling the home to enable the purchase of a brand-new home at one of the program’s 50-plus neighborhoods constructed by Beazer Homes, Century Communities, Pulte Homes, Woodside Homes and Sun City Mesquite by Del Webb. Depending on the builder, contingency purchases may be agreed upon for standing inventory homes as well as those under construction and empty homesites. “Because making good first impressions are so important in selling your home, it’s very important to make sure your home looks clean and fresh, and a cost-effective way that you can do that is by repainting rooms with neutral colors and putting a fresh coat of paint on the baseboards,” Robin Smith said. Kitchens and baths are other areas that attract home shoppers’ attention. A deep-cleaning is sometimes required, and broken appliances and fixtures should, of course, be replaced. Replacing old lighting fixtures and faucets with modern ones, and outdated countertops with low-cost hard surface material, may bring value. Depending on the condition of cabinets, painting or replacing them may be cost-effective. “Curb appeal and making sure that the front of your home and landscaping look good is also important and can determine if a home shopper even visits it. Sometimes, all you need to do is make sure the bushes are trimmed and being watered properly, while other times you may need to replace plants that have died in the sun, repair cracks in the stucco, repaint the front door or garage door, or make other repairs,” Robin Smith said. After the home is ready for sale, the Nevada Builder Trade In Program lists and sells a client’s current home at a reduced commission, while offering the buyer’s agent the standard 3 percent commission. After the sale, the Smith Team helps arrange moving services or helps locate a temporary rental, if needed, between the sale of the current home and the completion of the new home. To learn more, call 702-460-5080, visit ISellLasVegas.com or inquire at a builder-partner neighborhood.